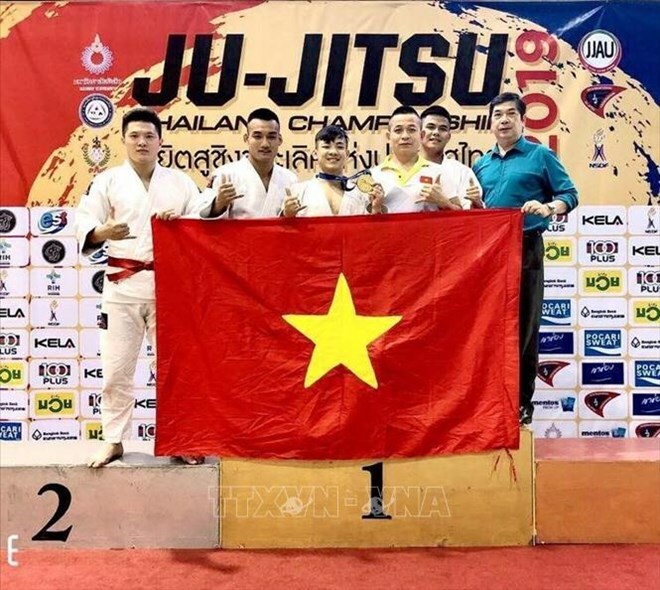 Bangkok (VNA) – Martial artist Dao Hong Son bagged one gold medal for Vietnam at the 2019 Ju-Jitsu Thailand Championship, which took place on March 30 and 31 at Rangsit University in Bangkok. With four victories, including three consecutive knockout wins within only half of the six-minute match time, Son earned the gold in the 56 kg category. Vietnam sent four athletes to the event, who competed in Ju-Jitsu Newaza’s category for those aged 18 and above. More than 1,000 martial artists of 67 teams participated in the competition, including those from Malaysia and Singapore. Originated from Japan, Ju-Jitsu has been practiced all over the world and included in international and continental tournaments such as the Asian Games (ASIAD) and the Southeast Asian Games (Sea Games).